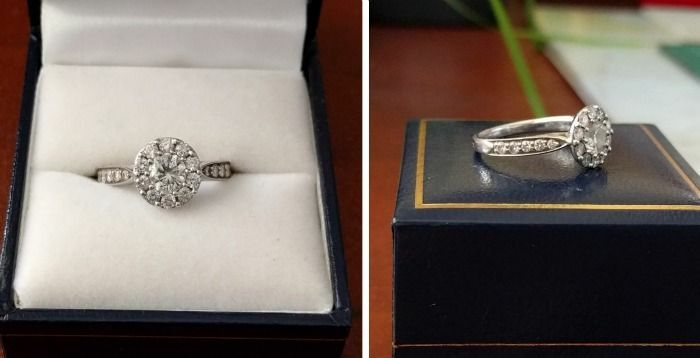 Reddit user @What_Choice, who lives in Sydney, has given away his ex-fiance's gorgeous diamond ring to a 'deserving couple' he has never met. After hearing horror stories from those who got fleeced while trying to sell jewellery to pawn shops/jewellers, the man (who hasn't disclosed his name) decided to give it away. I have decided to give away my old engagement ring. I have only heard horror stories of people trying to sell their rings and being insulted with sub-par offers from pawn shops, jewellers etc. and thought I would attempt to pass it on to a deserving couple. I am serious! This is not a ploy or a fake. It's a nice ring and I wish for it to bring happiness and joy. Apparently, he got the idea from another Reddit user u/EightySixxed and asked people to send in their love stories. The ones who could convince him that they deserve to get the ring the most, would get it. "I'd like to know why you would like the ring and to get married, and proof you are a couple. Something to convince myself and Reddit that you're legitimate. I'd also like to pass it on to you in person, hence why I have posted it in r/sydney", he wrote. His post got over 200 comments from couples in Australia, and he finally picked one lucky couple to pass on the ring to. This was the winning entry belonging to a guy who wrote about how he was detected with cancer last year and due to the nature of chemotherapy, his girlfriend has also become his caretaker. Every once in awhile the internet renews our relationship and life goals doesn't it? Here's hoping kind strangers and beautiful love stories continue making their way to us in 2016. Bigg Boss 9: Keith Sequeria shouts at Mandana Karimi. Has the show got to him?